On Sale! 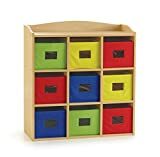 Up to 10% off on Cubbies at KBFS. Top brands include Child Craft, ABC, Classroom Select, ABC Company, Guidecraft, & ECR4Kids. Hurry! Limited time offers. Offers valid only while supplies last. 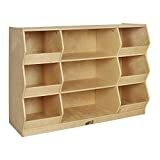 Classroom Select Storage Organizer, 29 x 11-7/8 x 24 Inches, Natural Wood Exterior.